The Equitable Education Fund (EEF), Thailand was established under the Equitable Education Act 2018. The objective of the Act is to provide financial support for children and youth who are in greatest need, reduce educational inequality by forming partnership with different groups and conducting systematic research to support and develop teachers’ effectiveness. EEF is under the supervision of the Prime Minister and is governed by a Board of Governance which is appointed by the cabinet and has a multi-sectoral structure. The board members include five ministries (Ministry of Education, Ministry of Finance, Ministry of Social Development and Human Security, Ministry of Interior and Ministry of Public Health) and six independent experts from various disciplines (academic, private sector, civil society). Many more children who are from very low-income families who have limited opportunities to get to higher education or secure good jobs. These groups will also be a focus. 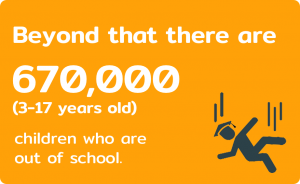 According to the National Education Account (2017), children who are from very low-income families (the lowest 20% of the population) have only a 5% chance of getting in to higher education which is about 6 times below the national average. 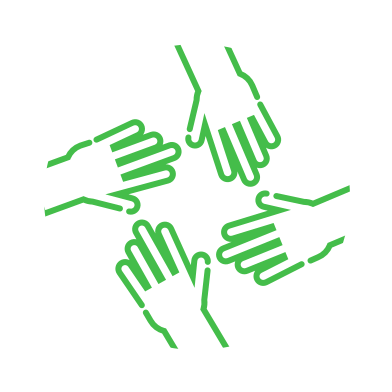 EEF promotes, supports and assists agencies that are involved in working with children, whether from the public sector, private sector or civil society, so that children, especially younger ones, can develop the physical body, mental state, discipline, emotion, social skills and intelligence which are appropriate for their age. EEF assists, promotes, develops and supports economically disadvantaged or underprivileged children with funds to cover their expenses until they complete their basic education. 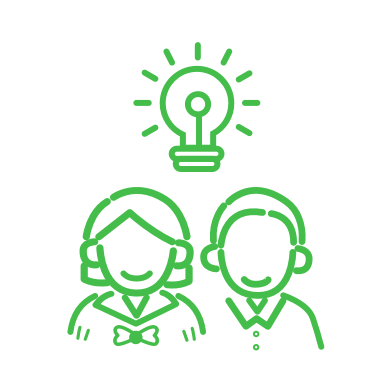 Also EEF supports those who are economically disadvantaged or underprivileged to receive training so that they possess knowledge and capabilities to find employment based on their aptitudes and capabilities. EEF strengthens and develops the quality and efficiency of teachers so that they possess the pedagogic capabilities which will enable them to work with children and youths of varying backgrounds and capabilities. EEF also carries out studies, research or investigations on ways to enhance teachers skills and enthusiasm so that they possess a passion for their vocation, morals, ethics, knowledge and the ability to teach and develop learners so that inequalities in education will be reduced. In addition, EEF promotes and supports the establishment of prototype institutes that train and develop teachers. 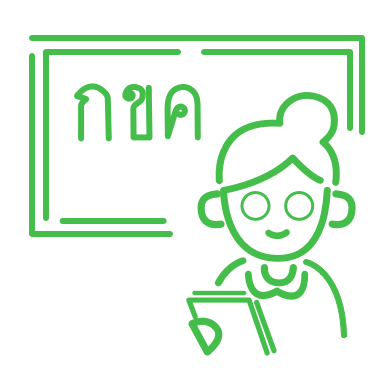 EEF conducts studies and research to develop a body of knowledge on human development, and then to promote and support the application of this knowledge to reduce inequalities in education in order to respond to workforce needs and upgrade the capabilities of the Thai people. EEF aims to improve access, quality and learning outcomes of early childhood care and education services, especially for the poorest and disadvantaged children through research and technical assistance. 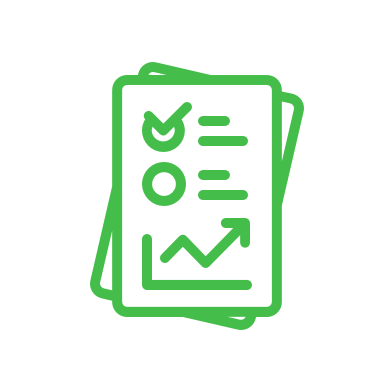 EEF will conduct research on education financing on early childhood education, and develop measurement and data collection of school readiness surveys and early childhood longitudinal studies. EEF will also promote quality learning on early childhood care and education services through careful investment and effective management. EEF will provide the 569,000 poorest primary and secondary aged students with the necessary resources to be successful in their educational endeavors according to their own aptitudes. EEF will also develop an efficient information management system and conduct research on financing for equity to inform policy makers and develop more efficient and effective mechanisms for allocation of resources. EEF will also work with provinces to reach 670,000 children aged between 3-17 years old who are out of school and face multiple challenges. EEF will initially work to develop effective strategies at the provincial level in 15 provinces, partnering with stakeholders to create learning opportunities for out of school children that are flexible and meet provincial education and employment needs and which are aligned with UNESCO’s suggestions related to flexible learning strategies. EEF will work with and enable stakeholders at provincial level to collaborate and implement education interventions to reach out of school children. 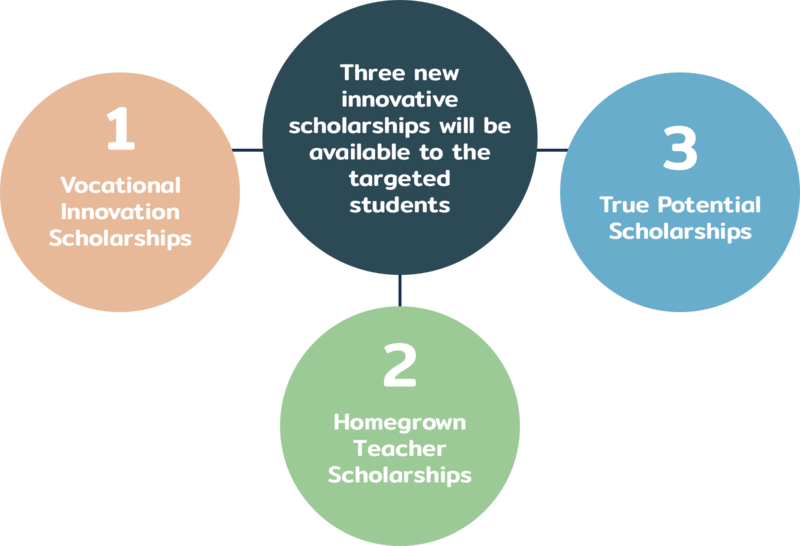 EEF will provide full scholarships to targeted students from very low-income families (within the lowest 20%) who have good grades compared with others from the same income tier, so that they are not compared with more fortunate students from higher income families. EEF would seek to select and support about 2,800 scholarships per year. Students’ well-being support- vocational colleges must show that they will provide necessary support to scholarship recipients throughout their study in terms of academic support, career guidance and social support. These scholarships will be offered to students from some of Thailand’s disadvantaged villages and regions to study at the Faculty of Teacher Education in universities. These more limited scholarships seek to create opportunities for a relatively small number of students to develop their potential through education. It will grant at most 9 years of full scholarships from the Bachelor degree to Ph.D. level in any discipline. EEF will also provide grants to educational institutes (vocational colleges and universities) to improve their teaching and learning and prepare targeted students with 21st century skills and apprenticeship and guarantee that they will have jobs after graduation. To achieve that objective it will work closely with private sector employers. EEF will work with educational institutes to develop mechanisms to ensure that these scholarships are provided equitably and to ensure that they benefit those who are both presently disadvantaged and have the best possible chance of benefiting from them. The present program is the first part of a wider strategy to develop and reform education in vocational institutes and universities that contributes to educational institutes playing a valuable role in meeting the employment needs of the nation. EEFI is part of EEF and its mission is to develop innovative research and technology that lead to solutions for equitable education and human development in Thailand at local and national levels. EEFI brings together over 100 leading interdisciplinary experts in multiple research areas including education, economics, engineering, social work, medicine, psychology, public health and government to provide high quality analysis, research and policy recommendations for the Equitable Education Fund (EEF) and Thai government. EEFI are also working closely with our international partners including UNESCO, UNICEF, OECD and the World Bank to conduct the cutting-edge research programs for equitable education and human development in Thailand and beyond. The board of governance is composed of 17 members: the Chairperson and 7 Expert Members appointed by the cabinet from qualified individuals in various disciplines (academic sector, private sector and civil society sector), 8 Ex Officio Members (representatives) from the Ministry of Education, the Ministry of Public Health, The Budget Bureau, Department of Children and Youth, the Comptroller General’s Department, the Department of Local Administration and the Department for Empowerment of Persons with Disabilities, and the Manager acts as Member and Secretariat of the board. The Chair of the EEF is an independent expert. Dr. Prasarn Trairatvorakul appointed as Chair of EEF's Board of Governance in 2018 by the cabinet. Because of his passion for education reform, he was appointed as a member the Independent Committee for Education Reform (ICER) by the government. Dr. Trairatvorakul served as Governor and Deputy-Chairman of the Bank of Thailand from 2010 until September 30, 2015. He was also a member of several state organisations including the Securities and Exchange Commission and the National Economic and Social Development Board. Dr. Supakorn Buasai was selected as Managing Director of EEF in 2018. 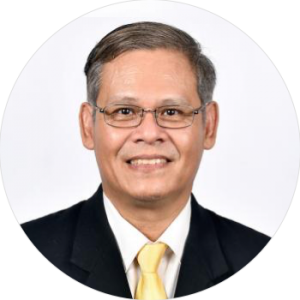 He is the founder and former Managing Director of the Quality Learning Foundation (QLF), an organization under the Prime Minister’s Office acting as a catalyst for education reform in Thailand through mobilizing public participation and supporting education research. 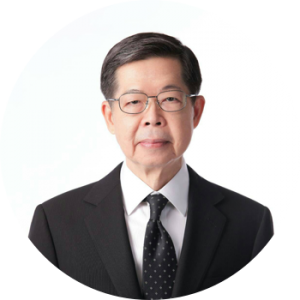 He is also the founder and Chief Executive Officer of the Thai Health Promotion Foundation (ThaiHealth), an autonomous state agency funded by ‘2% of tobacco and alcohol taxes’ that is involved in health promotion and public policy development. His chief areas of expertise include research management, with particular emphasis on policy-linked research; management for social mobilization; and policy advocacy, including successfully implementing policy change with regard to tobacco tax increases, the amending of the Hospital Act, national health security legislation, the national health system reform decree and the Thai Health Promotion Foundation Act.